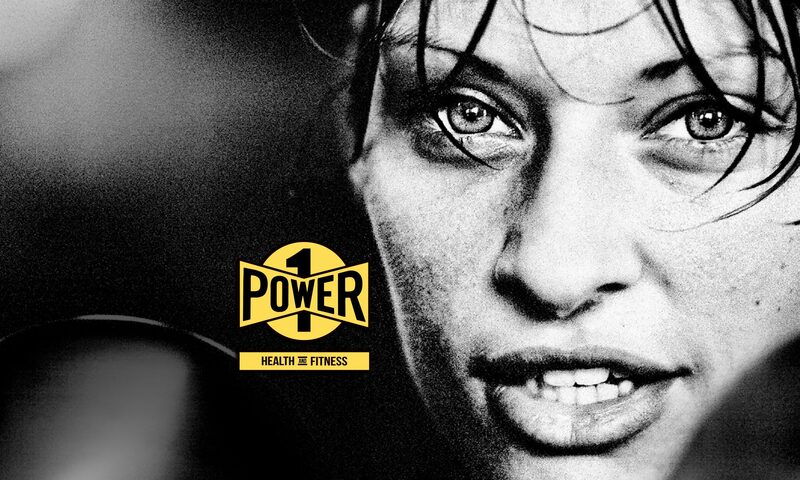 Power of One was created with the intention to promote and encourage a healthy lifestyle through exercise and proper nutrition. Here at Power of One we offer exciting and diverse exercise programs that are designed to meet your specific fitness needs and goals. Power of One is thrilled to have Tony White – AKA the Master Motivator – as part of our team! Tony comes with 15 years of personal training experience. In 2004, he earned his personal training certification from the International Sports and Medicine Association (https://aaai-ismafitness.com/). Before becoming a trainer, Tony was an international boxing champion, and uses his boxing skills when he works out clients or leads the Boxing Bootcamp group class at Power of One. Tony held the title of European Boxing Champion in 1990 (156 lb. division). Later, at the age of 50 years old, Tony won the 2012 World Master’s Boxing Championship in Kansas City, Missouri! Tony comes to the sports world with vast military experience. He was part of the 101st Ordinance Battalion during Operation Desert Storm. His squad captured over 100 prisoners of war. With his military background, Tony has since helped American Veterans over the course of 24 plus years. He currently assists with case management with Veterans in a program for homeless vets. He also worked for many years at the Northport Veterans Association. Carol Burke holds a bachelor’s degree in English Literature from California State University Northridge. She is a certified fitness trainer with multiple training and nutrition certificates and is a contributing fitness writer for Gem Magazine. She spent her first two years of training in Los Angeles, CA before relocating with her family to Northport, NY. Carol comes to Power-of-One with a specific vision. As a mother of five, Carol’s passions include creating healthy lifestyles for both adults and children and making a difference in children’s lives through age-appropriate exercise routines, particularly for those who are not pursuing formal sports/athletics. Carol is an active volunteer of the American Diabetes Association, and sits on the board for two Long Island-based organizations; BiasHelp and LINCS. She is known to her clients, friends, and family as a strong role model and motivator for personal growth and success. Mike Kaplan holds a bachelor’s degree in physical education from the State University of New York at Brockport, where he was Brock port’s starting point guard for four years. He, along with his team, had the honor of reaching the NC AA tournament twice, where they made Elite 8 and Sweet 16 appearances. He is a certified personal trainer and is the Varsity girl’s basketball coach for Huntington High School. He particularly enjoys strength and conditioning for all athletes of all different levels and ages. Five days before the Vietnam War ended in 1975 and at age of fourteen, Chris Vu, along with his family, fled Vietnam. They relocated to California and then eventually settled in New York. Chris went on to achieve a bachelor’s degree in Physical Education from the State University of New York at Brockport. In 2014 the account of Chris (AKA Hoang) and the rest of his family’s escape from Vietnam were made into a book, “They Are All My Family” by John Riordan. Riordan recounts how the escape was organized and how he succeeded in rescuing 105 Vietnamese in the chaotic final days of the Vietnamese War. The book and Chris’ family were also featured on ‘60 Minutes’ CBS, July 20, 2014. When Chris is not training clients he keeps himself fit by weight training and playing all types of sports ranging from table tennis to basketball. But his true passions are competitive indoor/outdoor volleyball and slow pitch softball. He resides in Bayshore with his wife Laurie and their children. Chris Vu is a certified personal trainer with over twenty years in the business. After establishing his client’s goals and objectives, he dedicates each training session not only to achieving those goals but also in pushing his clients beyond their comfort zone so that they might realize their full potential. By concentrating on developing his client’s form and technique through detailed and direct instructions, Chris’ clients achieve results that would be hard to duplicate on their own. His successful yet grueling strength training sessions with adults and teens in a caring, fun, and dynamic environment, makes Chris one of the most sought-after personal trainers. J ay Wierzbicki holds a bachelor’s degree in social and behavioral science from Marist College where he played Division I volleyball. His smile and pleasant demeanor is not only contagious but is what makes Jay so unique as a certified personal trainer. His charismatic personality is what keeps the clients coming back for more. His passion is making a difference in battling the obesity epidemic in youth through youth specific training sessions that will jumpstart a child’s love for exercise and healthy food choices. He is married and resides in Stonybrook with his wife, Heather and 3 children. Power Of One is proud to welcome our newest trainer Davron Jenkins. Davron was born and raised in Huntington, NY. He played basketball as a shooting guard and played the baritone in the Huntington high school marching band. Davron went on to attend L.I.U. college in Brookville, NY majoring in criminal justice. At L.I.U Davron played basketball from 2010-2011. As a former Power Of One client, Davron was passionate about strength training, conditioning, and nutrition. Davron went on to become a certified personal trainer with the American Aerobic Association International (AAAI), and the International Sports Medicine Association (ISMA). Davron is newly married and resides with his bride in East Northport NY. Power of One would like to warmly welcome Neil Garvey to our team! Neil is a Direct Support Professional at YAI agency providing services for people with I/DD (intellectual and developmental disabilities). He was trained by YAI to enhance the quality of life of people with developmental disabilities by using techniques such as Person Center Thinking and Personal Outcome Measures. Neil supports this population by teaching various skills for everyday life including regular exercise routines and healthy eating habits. He is currently enrolled in classes at Farmingdale State college with aspirations to obtain a bachelors degree in psychology. Neil has a strong passion for encouraging individuals to be active and exercise. Power of One would like to welcome Perry to our team! Perry was born and raised in Northport, New York. He played football and baseball for Northport High School and went on to play a season of college football at Springfield College in Massachusetts. He later graduated from SUNY Oneonta with a Bachelors Degree in Political Science. He is currently a graduate student at Queens College studying to become a certified teacher and a M.A. in History. Perry also coaches football for the Northport school district and the JV and is also assistant varsity coach for the Huntington High School girls basketball team. In his first season coaching, Perry received the JV Coach of the Year award for League III. Marinelli enjoys coaching and training clients of all ages. Lawrence Combs holds a bachelor’s degree in English from Mount Saint Mary College, where he played basketball. He also holds a master’s degree in physical education and health education from Adelphi University. A native of Kings Park, Lawrence is a certified personal trainer as well as a high school health teacher. He currently coaches field hockey, basketball and lacrosse, and has coached both boys and girls at every level from middle school to varsity. He has a tremendous passion for physical fitness and overall health. He currently lives in Stony Brook with his wife and two daughters. Mike Kaplan had the honor of training Tyler Ennis from the LA Lakers during the 1st week of May. Purchase any of our training packages and receive an additional 5 personal training sessions for just $50.